Welcome to CrossFit Forte – the only gym in TN with multiple CrossFit Level 3 Certified Trainers! We are a strength and conditioning facility in Downtown Nashville dedicated to helping people find joy in exercise. Our mission is to enhance our clients’ lives through fitness, nutrition, and community. Our programming is thoughtfully designed to help you improve in all ten facets of fitness: cardiovascular/ respiratory endurance, stamina, strength, flexibility, power, speed, coordination, agility, balance, and accuracy. Even more importantly, our programming is designed to give you longevity in your fitness journey by focusing on injury prevention and technique while increasing performance. All of our workouts are scalable, which means everyone, collegiate athlete and (former) couch potato alike, can get an appropriate and challenging workout. for·te noun /’fôrˌtā, 1: one’s strong point; a thing at which someone excels. At CrossFit Forte classes are structured to build competition, camaraderie, and community among members and coaches; however, since our mission focuses on overall health and wellness, you will find the “services” we offer extend far beyond the workout class which you attend. 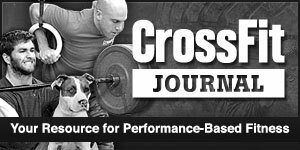 From nutrition counseling and challenges, community-building social events, and support in outside competitions and professional endeavors, CrossFit Forte is a platform through which you can find a network of people to encourage, motivate, and hold you accountable to your fitness goals and beyond. Forte is more than a gym, it is a community. We do not seek out a specific age, gender, or population. Rather, we welcome anyone into our community who is willing to challenge themselves. Whether you’re coming to lose weight, build muscle, supplement your current sports training, or just make friends, join us an hour a day, a couple days a week, and we can guarantee you’ll be in the best shape of your life!